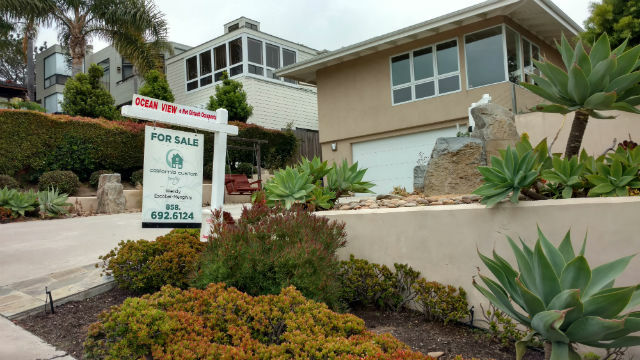 Home prices in San Diego rose one percent in March and are up 6.5 percent over the past year, according to the widely followed Case-Shiller index. The numbers released Tuesday morning show San Diego home prices growing strongly — above the national average — but not as fast as in some metro areas. In March, Seattle led the way with a 12.3 percent year-over-year price increase, followed by Portland with 9.2 percent and Dallas with an 8.6 percent increase.